Planning your next trip to Orlando? 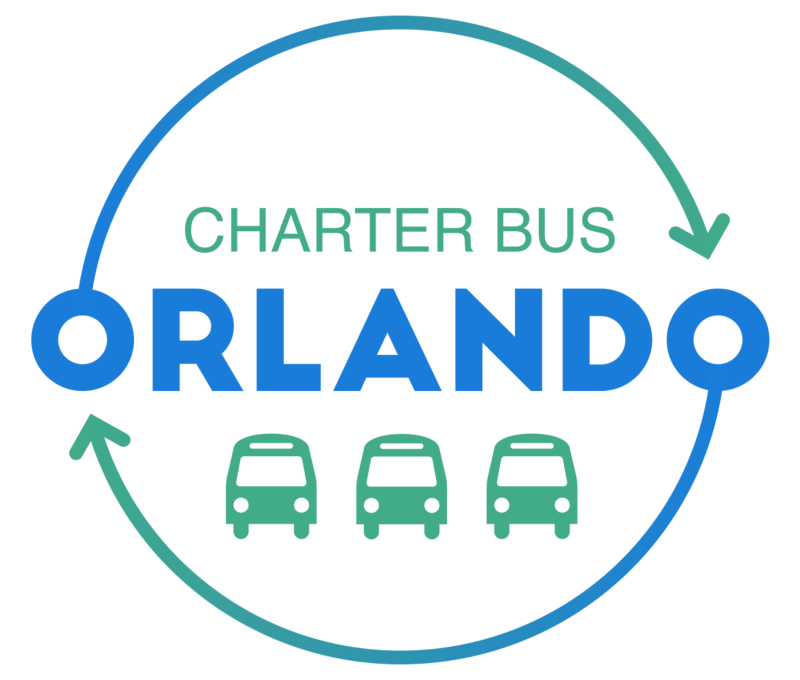 Let Orlando Charter Bus Company simplify your transportation with a private bus rental! We offer a range of size options, from minibuses to full-sized coaches, as well as many amenity options. Customize your travel experience with air-conditioned cabins, restrooms, WiFi, power outlets, televisions with DVD players, and much more, so your group can arrive refreshed and ready to go. Our 24/7 team of reservation specialists can walk you through the best combination of buses and amenities for your private Orlando adventures when you call 321-206-6444. Schedule your personalized transportation today! We at Orlando Charter Bus Company pride ourselves in providing personalized service for every trip. One way we tailor each customer’s experience is by finding the perfect vehicle or fleet of buses for your group’s size and needs. For example, a minibus like an 18-passenger coach is the ideal size for smaller groups who need a quick ride across town. If you need a shuttle to the Orlando International Airport, from your hotel to the local restaurants, or a lift from a concert at Amway Center, this compact option is your best bet. On the other hand, charter buses such as the 56-passenger model is best suited for large groups and long-distance travel. We service cities across the state, from Miami to Tallahassee and everywhere in between, so we should have no troubles finding you a ride. No matter the size, itinerary, or occasion, our team will arrange the optimal rental plan for you. Besides the theme parks, Orlando offers a variety of other kid-friendly destinations for visitors young and old. Whether you’re planning a daycare day trip to SEA LIFE Orlando Aquarium or giving back with a youth group trip to HandsOn Orlando volunteer events, make sure your children, tweens, and teens have a reliable ride through Orlando Charter Bus Company. Coordinating transportation for your after-school program? We can even establish a long-term shuttle service to pick them up from school and transport them to any community center, gymnasium, or enrichment center of your choice. We only charter motorcoaches equipped with the latest safety features, and drivers in our network must pass numerous background checks and have a spotless driving record. You can trust these certified professionals to transport your precious cargo, no matter the distance. Orlando is perfect for family reunions, trips, and get-togethers of all kinds! 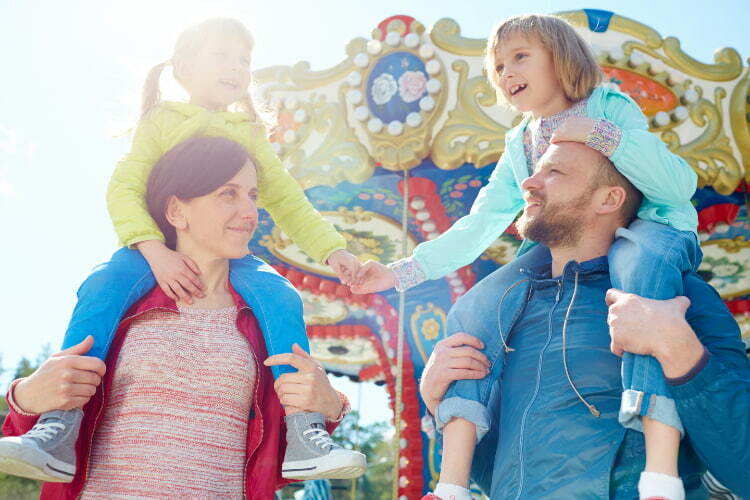 From a grand vacation to all the hottest Orlando theme parks, to a laidback paddle-boat race and picnic at Lake Eola Park, there’s something to do for families of all shapes and sizes. Wherever you’re traveling into, out of, or around Orlando, let a professional handle all of the transportation logistics so you can relax and enjoy your trip! With one call to Orlando Charter Bus Company, we can help coordinate all the transportation details for your upcoming family reunion or vacation. Ensure your family’s comfort with amenities like on-board WiFi, reclining seats, panoramic windows, and more, many of which are available at no additional cost. Check out the fleet of potential buses before you call, and a representative can walk you through the options and available amenities. Trying to squeeze in a trip to every major theme park in Orlando? Create your own private shuttle service for the ultimate park-hopping experience! With a rental from Orlando Charter Bus Company, you can easily jump from the Magic Kingdom to The Wizarding World of Harry Potter to LegoLand or any other attraction on your list, all at your own pace. No more waiting around for hotel shuttles on a fixed route or buses that only service one theme park. A private transportation rental allows you the freedom to schedule your own itinerary with pick-up and drop-off locations and times that best suit your group. Ready to go? Book your private bus rental with us, and you can take advantage of all the attractions Orlando has in store. Whether you need a fleet of charter buses to span the state, a minibus to shuttle your group across town, or any combination of travel arrangements, Orlando Charter Bus Company can assist you in all your private transportation needs. Our team is available around the clock to answer your transportation-related questions. Call us today at 321-206-6444 for a free, no-obligation quote!